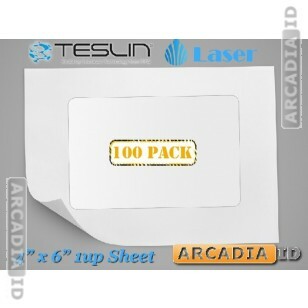 Buy these Teslin® sheets for Laser printers in packs of 100. 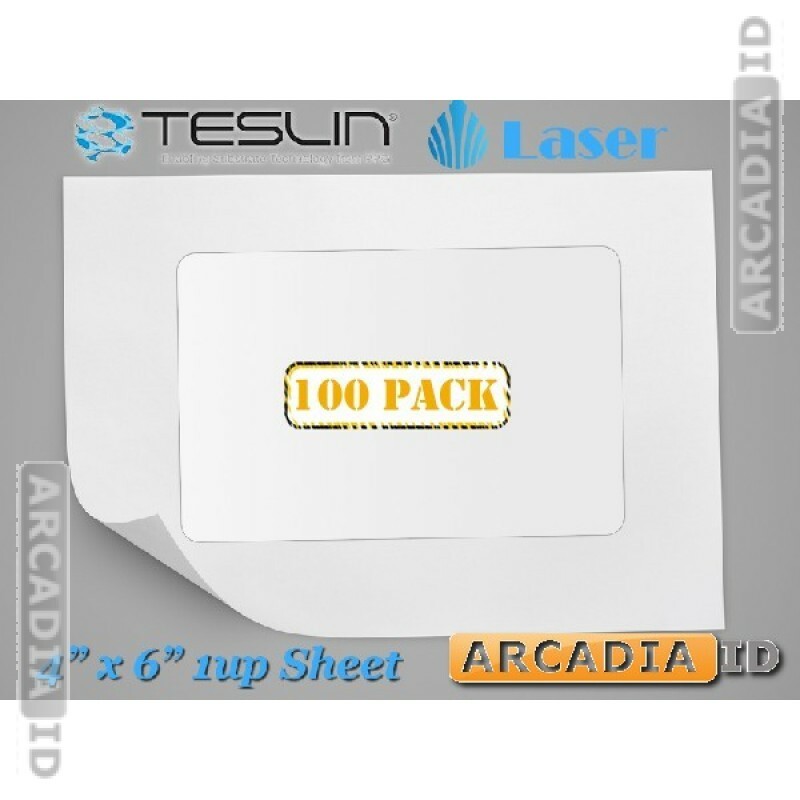 This is high quality paper with 1-Up punch outs for easily creating your ID cards. Buying in 100s can help you save a lot of money and a lot of time as well. For all other great photo ID materials at amazing prices be sure to explore the rest of the site. For the top quality and value pick ArcadiaID.